Have you ever pictured yourself working in an art gallery or museum in a place like New York City, Los Angeles - maybe even in London? We don’t blame you! A career as a gallery director can be pretty amazing. Gallery directors set the artistic policy of the gallery, working in public or private galleries. They take responsibility for both permanent collections and artwork for specific exhibitions and manage day-to-day operations. A good director builds the reputation of a gallery by collecting or exhibiting work by important artists and creating high levels of interest among the art community and the public. So, what does it take to become an art gallery director? 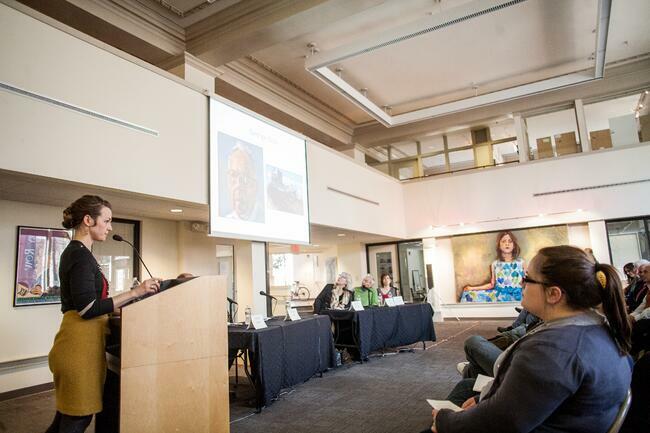 One path for aspiring art gallery directors can begin with a degree in fine art. As a student in a bachelor of fine art degree program, you will hone your skills as an artist, develop your ability to conceptualize as a visual thinker, and become a skilled creative problem solver. In a BFA program, you will acquire an understanding and appreciation of art, as a maker as well as a scholar, and develop communication skills that are invaluable when working with professional curators, artists and the public. What is involved in a fine art degree program? The typical coursework for a fine art degree program often provides a basic foundation in visual arts studies combined with liberal arts courses that support and enhance the studio experience. Students generally complete this first foundational year before choosing a major concentration. Students may choose to focus in a visual art, such as painting, photography or sculpture. To pursue the dream career as an art gallery director, your bachelor’s program should also have a broad range of course work in art history, complimented with language and literature studies to develop your communication and writing skills and provide preparation for graduate school should you choose further study and specialization. How can this degree assist you in becoming an art gallery manager? Bachelor of Fine Art degree programs (BFA) in fine art help artists define their creative interests and develop professional studio and communication skills. Approaching your career with the first-hand experience of a maker of art combined with skills of a scholar of the arts enhances your capabilities as an art gallery director. This degree qualifies graduates with formal training in the field, and provides solid preparation for advanced study in art history, curatorship, art preservation and restoration bringing them one step closer to their goal. Throughout your four years as a fine art undergraduate, you accumulate a well versed portfolio of your finest work to showcase your technical and creative talents. 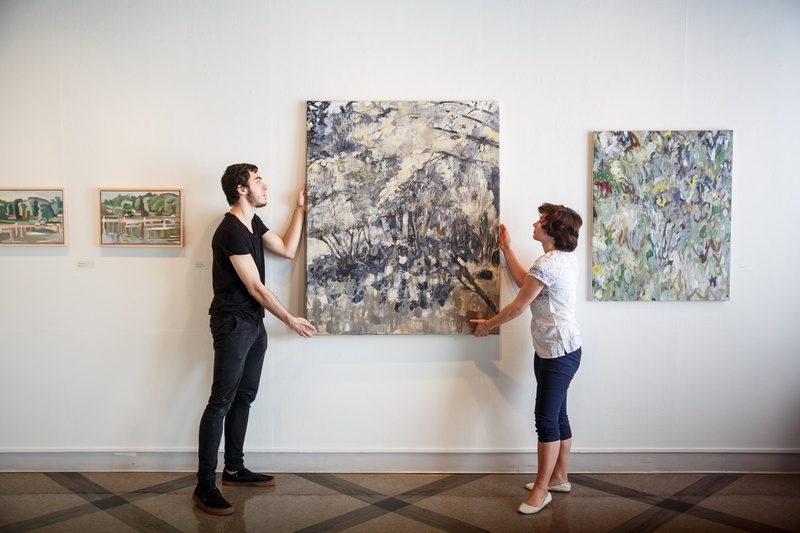 Your studies in art history and the liberal arts will help you to put your work into the proper context, enabling you to easily explain your influences and choice of subject matter, crucial to the role of an art gallery director (as you will be choosing the artwork that goes into the galleries). If you have a passion in becoming an art gallery director, a degree in fine art is an important first step. 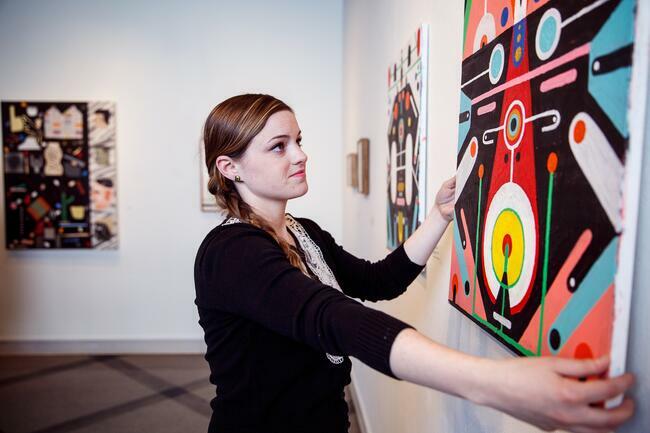 You will benefit from the vast cultural resources within an art college, learn specific aspects related to a gallery director, and gain real life experience through required internships. You will learn to focus, tap into creative flow, research, take criticism and synthesize. So, what are you waiting for? Interested in finding out more about our BFA in fine art? Join us for our next Open House on June 26th!